After quite some time of not tending to my blog, I feel it’s time to give it another try. I realize now that, in previous incarnations of this blog, my attempts to post regularly were often hampered by excessive self-editing, a tendency to think that every entry needed to represent some significant contribution to the bookselling trade or the world. And while I’ll still try to make that the case whenever possible, I have come to understand that sometimes a quick post featuring a picture of one of the store’s resident cats, or a recreation of a slightly fragmented conversation between myself and an employee or customer, is not only acceptable, but a refreshing change. With that in mind, I will dive into this again, with renewed resolve. Look for: the occasional book review; regular (but not religious) up-to-the-minute information on new arrivals; more extended commentary on highlights; informational articles about book buying, selling, trading, and collecting; reports on events in or around my shop, and throughout the trade in general; tidbits on literature, history, and local lore; and of course periodic musings in my previous style. Those who are familiar with our Facebook page know that we have a photo album called This Just In, which features photos of stacks of new inventory waiting to be shelved – I will be mirroring this here. I will also do my best to feature an interesting book from our stock in each post. Ophelia, still a fan of her heated bed, even in summer. “WEBSTER — Ask 27-year-old Jonathan Smalter what he’s most proud of in his bookstore, and he’ll probably lead you to the rare book room and point to a first-edition copy of The Catcher in the Rye by J.D. Salinger. The book, priced at $3,500, is by far the most expensive item in Yesterday’s Muse. Smalter’s used bookstore opened in December on West Main Street in the village of Webster. The store has several rare books and thousands of regular used books, from genre fiction to literary fiction to books on local history. The store has the crisp feel of a new bookstore. Every book has a price tag. Tables of books are scattered throughout, and Smalter changes the theme of each table every couple of months. In honor of spring, he now has tables for sports books, cookbooks, gardening books and Christian books (a nod to Easter). Smalter’s girlfriend, Kristine Rinebold, handles data entry, promotions, customer inquiries and aspects of the store’s Web site. She also contributes to the bookstore’s blog. 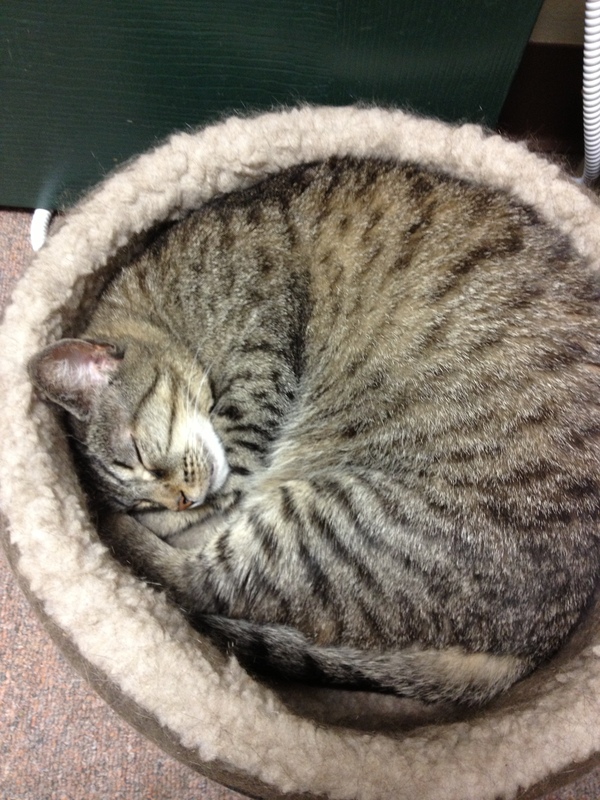 The bookstore even has a resident tabby cat, Ophelia Paige, who recently wandered in as a stray. While the physical incarnation of Yesterday’s Muse was born during a recession, Smalter has been building his bookselling career online for years. The Webster native started buying used books at garage sales and library sales when he was a philosophy major at Nazareth College. He began to learn what sorts of books would sell well on the Internet. Some books sell quickly online for a decent profit; other titles have too many copies available on the Internet and are harder to sell, he says. With time, Smalter has developed an eye for which titles are worth his while. ut Smalter’s mother encouraged him to find a job that wouldn’t send him home smelling like soy sauce and grease, and since he knew someone working at Webster Village Used Book Store, he applied for a data-entry position. Store owner Tim Ryan hired Smalter, who was 17 at the time. He worked there for three years. Then he sold books out of his closet for a time. And after graduating from Nazareth in 2003, he moved home and sold books out of his parents’ attic. He had accounts with Amazon Marketplace and abebooks.com, among others. Eventually, he started Yesterday’s Muse as an online-only store. Now he has a 15,000-book collection. About half of the books are displayed in his store; the rest are in storage. They’re almost all for sale online. The trick to Smalter’s business, he says, is maximizing the different strengths of online and in-store sales. Books that don’t sell well on the Internet, such as popular fiction titles, fly out of his store. Obscure titles might fetch a profit online, but could sit on a store shelf for months. Gardner J. Ryan of Irondequoit was driving down Main Street a couple of months ago when he noticed the sign for Yesterday’s Muse. “I thought, my goodness, there’s a bookstore I haven’t been in,” Ryan said. Ryan says he’s impressed with the store’s clean layout. He’s also sold 12 boxes of books to Smalter. Ryan’s personal book collection once included about 3,000 titles, he said, though he has cut it by a third. He’s told all his book friends about the store and has brought people in to see it, he said. Trish Corcoran and her 4-year-old daughter, Eva Nielson, are two regular customers of Smalter’s store. Although they live in Ontario, Wayne County, they do a lot of shopping in Webster. Corcoran was excited to discover Yesterday’s Muse. “I was brokenhearted when Brown Bag (Book Shop) closed in the city,” she said, referring to the Monroe Avenue store that shut down last year. Corcoran, who is in a book club, enjoys used bookstores because she can buy book club books that she may not normally have bought on her own, and she doesn’t have to spend a fortune. She says she can afford to buy her children books more often at Yesterday’s Muse. Her 12-year-old son, Bjarne Nielson, is also an avid reader. And Corcoran enjoys getting store credit when she sells Smalter some of her own books. “It’s nice to recycle your books,” she said. Hope you enjoyed the article and to see you at the store sometime soon! Visit our website at www.yesterdaysmuse.com for information on how to contact us or to browse for a book or two. My name is Kristine, although I don’t think I’ve been properly introduced yet. I’m Jonathan’s girlfriend and I’ll be writing on occasion to let people know what has been going on with us and what events the store has planned. I am 19 and also have a love of the written word (hence my current profession.) I was attending Nazareth College for English education and now work full time in the bookstore. When we opened the store in December we were lucky to be able to have the children’s librarian from Webster Public Library available for storytelling. It went very well — about 15 kids showed up. This event coming up on April 18th is also a storytelling with Gardner J. Ryan — a local author & illustrator. He involves the children with items that have been taken right out of the pages of his stories for them to hold. For his first visit to the store he will be reading ‘Gropin and the Magic Canes’ which is an adventure story full of thrills and adventure that takes place at Mendon Ponds Park. It would be appropriate for ages 6-10 and Gardner will be returning monthly for a series of original tales featuring all of his hand-crafted characters. Children can feel free to bring pillows for the floor. Our storyteller will be here once a month on a designated Saturday afternoon so drop on in! Anyway, I should probably actually start doing work.. although blogging makes me feel at least partially productive.